Fentanyl is a highly addictive synthetic opioid painkiller that is notoriously addictive and difficult to stop using once a person has started. The chemical imbalances in the brains of Fentanyl abusers make the withdrawal symptoms intense and potentially dangerous. In recent years, opioid addictions have become an epidemic, in large part due to their frequent use in hospitals and highly addictive nature. At ReAlign Detox, we understand the addictive nature of Fentanyl and have years of experience helping our customers overcome their addictions to it for good. Our detox methods traditionally include tapered-off methods, which is when we gradually reduce the dose until usage stops completely. 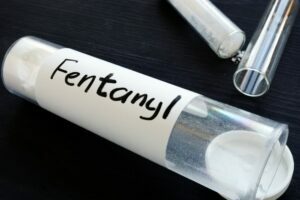 Under controlled supervision, Fentanyl is a helpful drug and is not harmful, which is why it is used in hospitals and other areas of the medical field. At ReAlign, we reinstate that controlled supervision into the lives of people who abuse Fentanyl and guide them away from their chemical dependency by tapering them off of the substance, offering medically-assisted treatment, and teaching them new skills and habits that reduce their chances of relapsing. It is because of these and other symptoms that Fentanyl detox should only be attempted under professional supervision. If you or a loved one is suffering from an addiction to Fentanyl, get the help you need before it is too late. The qualified professionals at ReAlign detox can help you overcome your chemical dependencies by providing you with a safe and effective detox treatment that will start your journey to recovery on the right foot. If you have any questions or comments, don’t hesitate to contact us. We are ready and willing to help you reclaim your life and detox from Fentanyl.